My delegation is pleased to see your Excellency Mr. David Miliband the Foreign Secretary of the UK chair today’s Security Council meeting. Allow me to express my delegation’s appreciation to you for organizing today’s important and timely open debate of the Security Council to consider the challenges facing the international community in stabilizing countries recovering from conflict and delivering sustainable peace. We are also thankful for the concept paper on the subject which is certainly a comprehensive document that articulates the realities of dealing with situations in countries emerging from conflict. I am certain that the outcome of this debate will greatly benefit nations undergoing post-conflict stabilization and the peace-building process as well as the UN. Emerging from more than two decades of armed conflict, Afghanistan is well aware of the challenges associated with post conflict stabilization efforts. 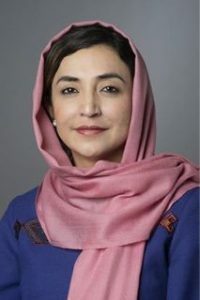 Almost seven years ago following the defeat of the Taliban, in December 2001, the Bonn Agreement laid out the path towards political transition in Afghanistan. It was clear from the outset that the stabilization of Afghanistan in the post-Taliban period was not an easy task. As a result of long wars and foreign occupations, Afghanistan had become a failed state and a broken society. And a country where its citizens were deprived of all their rights. In addition more than half of its population, being female, could not go to school, work or even attain simple medical care. The collapse of the state led to nation-wide insecurity. Millions left the country or became internally displaced and the social trust had been eroded. People reverted to traditional forms of mutual support such as tribal and ethnic alliances, which led to an increasing societal fragmentation. In a country where agriculture was the chief engine of the economy, illicit drugs became the main source of income; the land began to fuel the war rather than to feed the people. Since the Bonn Agreement, in cooperation with the international community, we have come a long way in overcoming the enormous challenges of building the foundation of a new political system aimed at promoting long term stability. We have adopted a new constitution and held democratic presidential and parliamentary elections in 2004 and 2005, supported overwhelmingly by all the people of Afghanistan. To ensure security, recovery and development we embarked on security sector reform which serves as the lynchpin of the entire state-building process in the country. Thanks to the support of our international partners our security forces have become stronger and effective. Our national army has now reached 76,000 and assumed a greater role in the fight against terrorists seeking to destabilize Afghanistan and the region. Five years after the Bonn Agreement, in February 2006, the Afghan government and the international community came together in London to design a new roadmap to solidify our achievements and further empower Afghanistan to realize a sustainable peace and development. Despite all these remarkable gains, we still face challenges that pose a threat to our long term stability. There are at least four major challenges to peace and stability in Afghanistan: terrorism, narcotics, weakness of governance, and poverty. These challenges are interlinked and an integral part of the same threat. In dealing with these challenges, we realize that effective stabilization efforts in post-conflict situations require a comprehensive and multi-faceted strategy, encompassing the essential components of social and economic development, good governance, human rights, the rule of law, and national reconciliation. Such an approach demands a pro-active and sustained engagement of the international community in the process. From the beginning of the Bonn process in Afghanistan, the U.N. played a central role in bringing together the international community to help Afghanistan’s transition from conflict to peace, stability and democracy. During the course of the last year, a new momentum was built to reinvigorate the role of the UN in Afghanistan. The appointment of a new SRSG was an important step. Today we have a broad consensus that the UN should focus on its role as lead coordinator, essential for reenergizing efforts on stabilization. 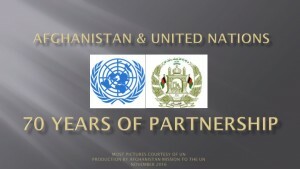 The success of the UN in delivering its mandate relies on uniting the efforts of all international actors including the donor community, NATO, EU, regional countries, international financial institutions, and NGOs in supporting the government and people of Afghanistan in their struggle for peace, stability and progress. The key elements for success of the UN in its role entail full cooperation of all parties to be coordinated, as well as the mandate, resources and an adequate staff on the ground. The role of the U.N. in Afghanistan, similar to other post-conflict situations, is to facilitate the stabilization efforts including supporting institutional building and bridging the international community with the government and people. While state-building is a collective effort in post-conflict countries, the national ownership of the process is the core principle. Given the enabling role of the international community, it is essential to invest more in establishing capable and functioning institutions. To achieve this we need to build national capacity to deal successfully with all challenges which arise during the post-conflict stabilization. As experience shows an “effective state-building is like a spider-web; in that they work best when built by the spiders themselves”. The success of the international community and national government in the process of recovery from the conflict, as we have learned from our experiences, is closely linked with effective use of resources and aid. It is paramount that the aid be need driven not supply driven. A coordinating strategy should reflect the principles of the aid effectiveness and successful delivery of aid that are aimed at improving the situation of the country and the people. In Afghanistan, the enemies of peace and stability will continue their attempt to disrupt the efforts of the government and the people as well as our international partners for establishing a stable, prosperous and democratic Afghanistan. However we are confident that these actions will not succeed in interfering with our long term goal of building a new Afghanistan. In this fight what we need is the continuing commitment of the international community, time and resources. In conclusion, Mr. President, I am confident that this debate will help the international community join their efforts more than ever to deal with the challenges of post-conflict stabilization, and to address the challenges and enhance the coordinating role of the UN.